Our South Florida medical device litigation attorneys have been following the DePuy hip case implant developments closely. In August of 2010, DePuy Orthopaedics, Inc., a division of Johnson & Johnson, recalled its ASR XL Acetabular metal-on-metal hip implants. However, as early as 2009, the Food and Drug Administration notified DePuy that it was denying the company’s application to sell the implants domestically. Consequently, according to the New York Times article, “Hip Device Phaseout Followed F.D.A. Data Request,” it appears Johnson & Johnson executives initiated a product phaseout of DePuy ASR hip implants as early as 2009, in lieu of a complete recall, only weeks after the Food and Drug Administration requested supplemental safety data from the company. In 2009, reports from countries outside the United States, illustrated the device was performing less productively and safely than data submitted by DePuy itself. On average, hip implants should last fifteen (15) or more years. Recently, research has surfaced indicating that DePuy’s hip implant failed up to 49% of time in the United Kingdom, and globally failed in patients within a few years of hip replacement. However, citing slow product sales, rather than factors related to safety, DePuy planned to phase out the hip implant globally by 2010. Several design defects in the ASR hip implant can cause product failures, resulting in DePuy hip implants recall cases. Patients may suffer from “metallosis”, or metal poisoning. Metallosis is a condition associated with metal-on-metal implants. When metal-on-metal hip implants are used the two sides of the implant can rub together, and, in doing so, shed tiny metal particles shown to cause inflammation, soft tissue damage, and/or necrosis. Specifically, the ASR hip implant has cobalt and chromium elements which the Food and Drug Administration not only considers hazardous, but potentially carcinogenic. Other known problems include loose-fitting implants, friction transfer to the acetabulum, and hip implant dislocations. 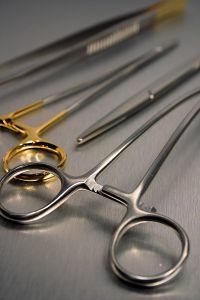 Moreover, design defects like the cobalt/chromium metal construction, shall cup depth, and exceptionally low angle tolerances can cause malfunctions leading to costly supplemental surgeries, known as “revision surgeries”, and/or additional hip replacements. Presently, it is not known how many patients received ASR XL Acetabular metal-on-metal hip implant. However, according to the aforementioned New York Time’s article, in an eight year period, roughly 93,000 patients received the defective implant, one-third domestically. In Florida, cases are currently being filed that share factual issues surrounding whether DePuy is strictly liable for defectively designing and/or manufacturing the ASR XL Acetabular Hip System, and whether DePuy failed to provide adequate warnings concerning the device to consumers. See Barnes v. Bayside Orthopaedics, Inc., 2012 WL 162368 (M.D.Fla.). Ultimately, patients may suffer irreversible damage, and the longer patients wait to have the ASR revised, the more permanent and damaging the effects can become. Strict liability in Florida extends to those in the distributive chain including manufacturers and other entities responsible for the sale of a prosthetic device. See Porter v. Rosenberg, 650 So.2d 79, 81 (Fla. 1995). Consequently, it is imperative to note that retailers, like manufacturers, can be held liable for injuries resulting from defective products. However, physicians are generally not subject to strict liability. Courts tend to treat healthcare providers akin to users as opposed to distributors. Moreover, in many product liability cases, including DePuy hip implants, choice of law rules may be a factor that needs to be considered. Under Florida law, a true conflict exists when two or more states have legitimate interests in a particular set of facts in litigation and laws of those states differ or would produce different outcomes. See Chapman v. DePuy Orthopedics, Inc., 760 Supp.2d 1310 (M.D.Fla. 2011). Choice of laws rules carry great significance, nor more than determining which state’s statute of limitations to apply. In Florida, the state has a four-year statute of limitations for product liability claims. In South Florida, state regulators have discovered a sobering trend: at least 41 South Florida doctors treat both drug addicts and pain patients. Experts worry that this combination of medical specialties could be dangerous, because it puts potentially addictive drugs to treat pain alongside a population that may already have drug dependencies. According to an article in the Miami Herald, many of the doctors dispensing painkillers at South Florida pain clinics do not have special certification in addiction or pain management. New Jersey requires doctors to be board certified in pain management before they can prescribe painkillers, but Florida doctors are allowed to dispense painkillers provided they have completed an eight-hour training course, have a valid medical license, and have approval from the Drug Enforcement Administration (DEA). Many of these doctors have reportedly been disciplined for recklessly prescribing addictive drugs, but they can continue prescribing the drugs after they return from suspension. While methadone is prescribed by doctors, nurse practitioners, and osteopaths as a painkiller to treat conditions resulting in severe pain, the drug is implicated in two times as many painkiller-related fatalities as the drugs Vicodin and OxyContin. According to Dr. Howard Heit, a pain medication specialist, many patients that take the drug as prescribed can suffer adverse side effects, including death. Federal regulators admit that it took them awhile to recognize physician ignorance related to the drug and the dangers that could arise when doctors prescribe methadone as a painkiller. The government cites “imperfect” systems as a cause for the oversight. As late as 2006, the Food and Drug Administration-approved package insert was still recommending a dangerously high dosage. The number of deaths citing methadone as a contributing cause between 1999 and 2005 was 4,462, which federal officials say may be an underestimation. In 2007, the state of Florida alone reported 785 deaths caused by methadone. Between 1998 and 2006, the number of methadone prescriptions grew by 700%, says the DEA. One main problem is that many doctors don’t fully comprehend the way methadone metabolizes and how patients can have different responses. •	Prescribing too much methadone too quickly. •	Failing to warn patients that it is dangerous to mix methadone with sedatives or alcohol. •	Failing to follow up during the first week a patient is taking the drug. The FDA is considering mandating that doctors take classes that focus on prescribing narcotics. Federal regulators and drug manufacturers are supposed to make sure that any medications that are recommended, manufactured, and placed out in the market are safe for use. Allowing a dangerous drug into the marketplace or failing to warn of a drug’s potential side effects can be grounds for a drug litigation lawsuit if someone gets sick or dies as a result. 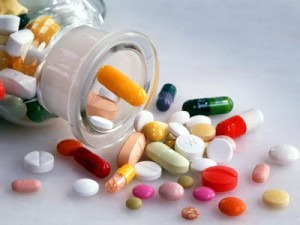 A doctor may be subject to a medical malpractice lawsuit if he or she prescribes a drug to a patient but fails to warn of dangers or doesn’t prescribe the correct dosage.